If you need to cry about infertility, don't have your emotional breakdown at your workplace. You never know when you're going to be on an episode of Undercover Boss. Semi Useful Fertility Tips from a Formerly Infertile Mad Woman. 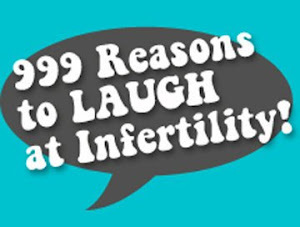 Please note that these fertility "tips" are meant as a joke. Please consult your fertility doctor, therapist or a transvaginal wand before trying them at home.